A PowerHouse Package Of EnegyWork You'll Love! ​with an special added bonus too! Now available for purchase as a set--including a special bonus mp3 tool. 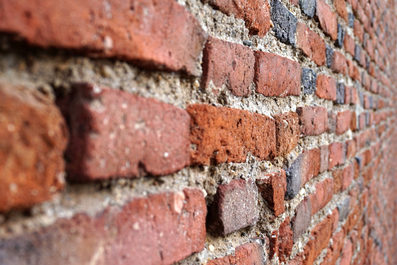 Have you hit a wall in an important area of your life? Like some help? Helping YOU with YOUR troubles, issues, stucknesses, agida, stresses & stuff. Three hour-long calls over three consecutive weeks where YOU submit your challenges. In the first half of each call Rudy will be teaching techniques & ways to unstick yourself. to help you unhook yourself and move forward. All with his buddy Sue Fellows assisting to make this fun, inter-active & transformative. By the way...it's at a great price with a great discount too! This is what we did...and now it's available to you in a recorded powerhouse audio mp3 set with a timelog [so you can find the specific energetic processes easily] plus an EXTRA BONUS you'll love. That's a $44.00 extra value. not available for purchase anywhere else. It's ONLY available with the Trouble Shooting Set. ​Folks who joined the live workshop weeks paid $97.00. valued at $141.00...but you can own this amazing energetic set for just $127.00. You'll own 3 hours of Rudy teaching & doing profound energetic rounds covering topics from shame to love to self-worth to addiction to physical pain to trauma...and beyond! ​And that is only a very partial list! Here's the button to purchase & download your set right away. Please FB/Twitter share with your friends. ​This is a great opportunity to own some of Rudy's profound healing work that will help you. Scrubber is powerful! It's 3 inter-locked rounds of EnergyWork from Rudy to help scrub away the "schmutz" that contracts & compresses us. Short and very to the point, it is truly a rugged workhorse embedded forever with 3 strong rounds. You'll want to keep this recording on your phone or tablet--you'll use it a lot In this special energetic tool you'll keep your focus on a specific area of your body...but don't let that fool you. The effect of this work helps ANY area of your life from money to health to relationships...and any other area you need some help with! This special tool was recorded specifically for the Trouble Shooting Set and helps amplify its results. You'll use this tool a lot!